Dumping ground. Flooded market. Organised crime. Nuclear fallout. Death traps. Do these phrases sound familiar? If you’ve followed the news lately, you may know that the Motor Vehicle Standards Act is currently being reviewed, a process that has taken three years so far. Tucked away in the report was the suggestion that Aussies should be allowed to import their own vehicles, both new and used, from other countries outside the official distribution channels. Predictably, there has been strong opposition to the move from new car manufacturers, their distributors and their dealers. Others with vested interests in maintaining the status quo, such as the finance, leasing and insurance industries, are all singing the same tune. Media statements peppered with emotive language began flowing thick and fast from hitherto-unknown industry lobby groups. As a result, mainstream media toed the line, no doubt aware of the substantial advertising revenue that may disappear if they suggest otherwise. But strip away the hyperbole and there are genuine reasons in favour of opening up the market, as easily demonstrated by dispelling some common myths. 1. Australia will become a dumping ground for poor quality vehicles from overseas. Breathless claims that ‘up to 700,000 vehicles’ could be imported into Australia are fanciful, for the obvious reason that there simply aren’t enough eligible right-hand-drive vehicles on the market worldwide to be able to sustain anywhere near these numbers and still remain cost competitive with local dealers. If the scheme floated by the ACCC’s Harper Review – to open the market to new and used vehicles up to 5 years of age – were to proceed, most in the imported vehicle industry agree that the number of imported vehicles will reach equilibrium (ie would remain commercially viable) with the market at around 50,000 vehicles, which would still represent only around 4.5% of new car sales on 2015 figures. As for the quality of vehicles received, the importation process would be moderated by stringent guidelines for importers, including restricting the country-of-origin, provision of appropriate documentation, and inspection by a third party prior to registration. Indeed, many of these requirements are already in place for existing importing schemes. 2. Imported vehicles are death traps. The evidence to support such claims is non-existent. The most likely source countries for imported used vehicles include Japan, England, the US and New Zealand, all of which have strict safety regulations and lower per-capita death tolls than Australia. If the proposed scheme to allow late model used vehicles into Australia is adopted, the opposite effect is more likely. Acknowledging the widely-agreed link between vehicle age and levels of safety, it stands to reason that any attempt to reduce the average age of our fleet will also reduce our road toll as owners of older vehicles are able to trade up into new, cheaper, safer vehicles. Of course, manufacturers’ concerns about consumer safety will mean that they will quite happily honour overseas warranties and that their authorised dealers complete any recall work as required. I jest. Of course they won’t. They have a business to run. 3. Imported vehicles won’t be any cheaper. At the lower end of the market where margins on new vehicles are tighter, this may be true: the cost of shipping a car to Australia may mean that an imported car simply isn’t competitive on price. Having said that, Australia pays some of the highest prices for its new cars of any country in the world; prices that cannot be explained away by any reason other than charging what the market is prepared to pay. Healthy profits are the benefit of operating in a market bereft of competition in the form of parallel imported vehicles. If a Porsche 911 Turbo S is retailing in Australia for $445,000 and in the UK for AUD$256,000, or Honda is selling the new NSX in Australia for $420,000 plus on-road costs when it sells for as little as USD$156,000 in the US, importing becomes a very attractive option, and the competition will start to put downward pressure on the prices of locally-sold new vehicles. 4. There will be huge job losses in the industry if new car sales drop. There are a number of assumptions at play with this statement. The first is that those buying parallel-imported vehicles will be cross-shopping them against new vehicles, therefore ‘stealing’ new vehicle sales. As history as proven in New Zealand, which has allowed large-scale parallel importing for more than 20 years, this is not the case. 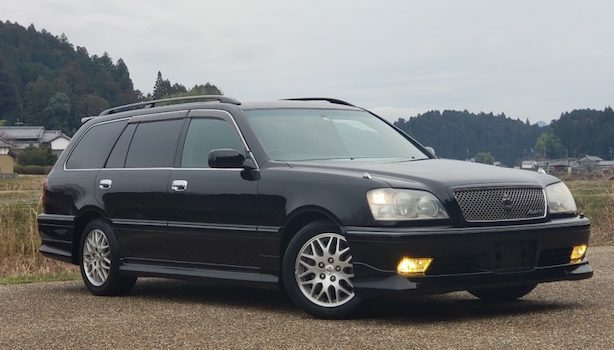 Kiwis purchasing parallel-imported vehicles were generally trading up from 10+ year old Commodores and Falcons, not trading down from a new car. Interestingly, New Zealand is on track for a record year for new cars sales in 2016, despite having relaxed laws surrounding parallel importing. But let’s play devil’s advocate and assume that parallel imports have a significant effect on new car sales (bearing in mind that new car sales in Australia have achieved new annual records for something like 9 years running). Sure, there will be a reduction in jobs as the new car market shrinks, but balancing this will be an increase in jobs created by the industry supporting parallel imports as it grows. The jobs aren’t disappearing; they’re moving from one business to another. In fact, because of the additional compliance process that all parallel imported vehicles must pass before being registered, there’s a strong chance that extra jobs in the automotive sector will be created, right at a time when so many skilled workers are being retrenched by local manufacturers ahead of their closure. 5. Imported vehicles are easier to steal. 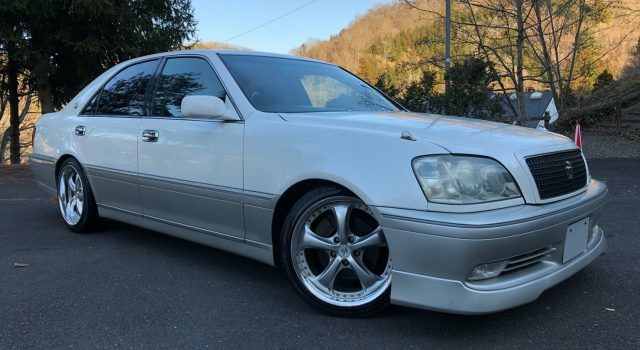 If Australia was considering importing cars built in the 1990s, then this claim would be true, as Japan, in particular, was fairly slow making immobilisers mandatory for new vehicles. For late model vehicles, anti-theft measures are now broadly consistent worldwide, and have been for a number of years. The source nations already have the structures and documentation in place to ensure that stolen vehicles do not leave the country of origin. Likewise, Australian authorities already require evidence of this documentation before cars can be registered here. It’s a non-issue. 6. Imported cars aren’t suited to Australian weather conditions. Putting aside things like suspension tuning for our conditions (which is more about comfort levels and personal preference) or changing the frequencies on the stereo, there are very few, if any, revisions made to the specifications of imported vehicles to suit Australian conditions. Some manufacturers do upgrade engine cooling systems to ‘hot climate’ specifications on vehicles sold new in Australia. But all modern vehicles now come equipped with thermostatically controlled cooling systems and in-built safety mechanisms to prevent engines overheating. At worst, the fan on a European-spec vehicle may work a little harder in summer, and the air-conditioning system may be a little less effective. By way of a very small sample, I’ve driven my UK-spec Infiniti on many 40+ degree days and the temperature gauge has never budged beyond its normal range. A related claim is that overseas models aren’t suited to Australian fuel. The sulphur level of Australia’s unleaded fuel is higher than other countries, meaning that certain ‘lean-burn’ petrol engines are not suited to it. Of all the makes and models available worldwide, only a hand-full of vehicles fall into this category (mostly manufactured by Mercedes-Benz). So what happens if these engines run on high-sulphur fuel? The catalytic converters would have to be replaced more often, and fuel consumption would be slightly higher. That’s it. 7. Insurance on imported vehicles will be more expensive. Having been burnt by some less-scrupulous importers running insurance scams almost twenty years ago, mainstream insurers turned their backs on the imported vehicle industry, leaving specialist insurers to take up the slack. Should the total number of imported vehicles run increase in size, it’s a market too large for any insurer to ignore, and increased competition will soon force down premium prices. Bear in mind that mainstream insurers have had no qualms covering the same imported vehicles in New Zealand for the last couple of decades. 8. Parts for imported vehicles will be more difficult to find, and will take longer to source. Assuming that local dealers will refuse to supply factory parts for parallel imported vehicles (anti-competitive behaviour in itself), importers will instead source their parts through the independent suppliers that will inevitably spring into action to support the new market. Try asking your local dealer for an unusual part (such as a body panel) for a locally-delivered model and expect a delivery time of 6-8 weeks when it is sent from overseas, in exactly the same manner as parts for parallel imported vehicles. 9. You won’t be entitled to a warranty or capped-price servicing deals with an imported vehicle. Aftermarket warranty providers will quickly fill any void in this area, as will canny parallel import dealers keen to retain customers. Vehicle servicing is another area where official distribution outlets enjoy very healthy profit margins, effectively locking their customers into long term ‘relationships’ with each new sale. Owners of parallel imported vehicles are free to have their new ride serviced wherever they choose. 10. Finance may be difficult – or impossible – to arrange on an imported vehicle. As with parts, servicing and insurance, the increased size of the parallel import market will generate the demand for finance and leasing companies to jump on board. Those that choose not to do so will surrender a significant chunk of the market to their competitors. 11. Resale values will be ruined. At face value, this may seem to be the case on paper as parallel imports force down selling prices of all vehicles. But a disadvantage for car sellers then becomes an advantage for car buyers: the next car you buy will be cheaper too, meaning the change-over prices will be either the same or better than what they are currently, and overall, a smaller proportion of the average Australian’s income. 12. We already have one of the most diverse new car markets in the world. Firstly, there’s a reason we have such diversity: it’s because our market is also one of the most profitable in the world for its size. It’s so profitable at the top end of the market that some prestige manufacturers, such as Porsche, took the unusual step of cutting out the third-party distribution networks and setting up their own factory-backed operations. Also, while we receive a wide range of makes and models, the Australian market is far less competitive than it may first seem. Why? Because most of the companies that import and distribute the vehicles usually do so for a number of different marques. Inchape, for example, distributes BMW, MINI, Kia, Honda, Land Rover, Bentley, Jaguar, Volkswagen, Isuzu Ute, Rolls Royce, Mitsubishi, McLaren, Aston Martin, Skoda and Subaru. Ateco Automotive distributes Maserati, LDV, Chery, Great Wall, Ssangyong and Foton. The list goes on. Ultimately, as diverse as our new car market may be, car buyers in Australia are still restricted to buying makes and models that the manufacturers and distributors decide will make them the most profit. 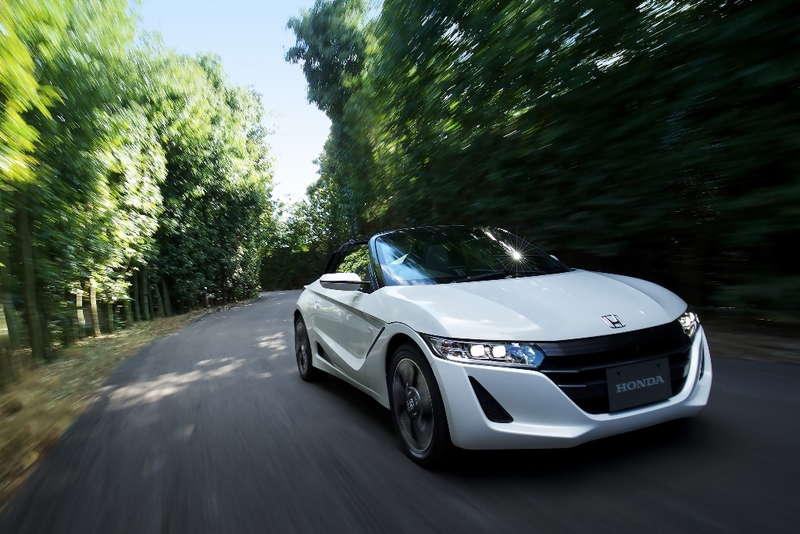 If Honda decides not to bother importing the S660 (shown above) because they don’t think they’ll sell in reasonable numbers, consumers are currently left with no choice but to buy a different car. Parallel importing not only allows buyers to access these rarer cars, at prices that will also put downwards pressure on new car prices too. In the end, Australian consumers, whether buying new or used, will benefit. The only ones that won’t are the dealers and the manufacturers. Unsurprisingly, they happen to be the same groups spending plenty of money to ensure the changes don’t happen, using all the reasons listed above. As NOT published in any mainstream motoring publication, 2016.